Gum disease is often not a topic that is commonly discussed. When we think about issues with our teeth, our minds more often go to cavities or to teeth broken in a fist fight or a fall. 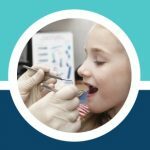 Gum disease, such as periodontal disease and gingivitis, damaged gum tissue, or other gum infection, is not something you often hear about people experiencing or talk about it school. 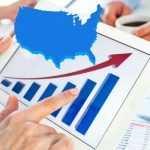 But, it’s a growing issue in the United States, especially as poor oral hygiene and our sugar consumption spikes, and the incidences of diseases contributing to gum disease, along with diabetes and arthritis, going up as well. Did you know that nearly 65 million adults have had some form of periodontal disease? And, many who have gum disease, or periodontitis, are over 65 years old. These numbers are alarming, and they’re worsening as time goes on. About three-quarters of the world’s population is believed to have some type of gum disease, from mild to severe. Other diseases, such as diabetes or arthritis, can worsen the impact of the disease, as they often dampen a person’s inflammatory system. And, if you’re experiencing a lot of stress or are not eating a balanced diet, you may also increase your chances of developing periodontitis. Smoking can also contribute to an increased risk of periodontitis—tobacco is, in fact, known to be one of the major risk factors when it comes to gum disease. At the root of the disease is plaque—that pesky substance that builds up, colorless, on your teeth and other surfaces in your mouth that are tough to reach with a brush. The more you skip flossing and brushing, the more chance you’ll have of plaque buildup. In gum disease, plaque accumulates and causes an infection in various near your teeth. It can be hard to notice sometimes, but plaque can become a huge problem. When the plaque builds up in your mouth for a long time, it becomes tartar, which you now can’t brush away, and must wait for a dentist to remove. Plaque can also get into the blood through the gum tissue, emitting chemicals that aren’t great for your body. Gum disease can cause a whole host of issues, so it’s important to learn how to recognize when something is not right with your mouth and gums. By establishing a good oral health routine, you’ll be more likely to notice when anything feels off, looks discolored, or seems unusually swollen. 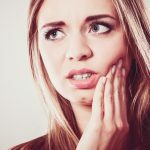 What are the key warning signs of gum disease? Gum disease can often remain under a person’s radar for quite a while. Often, your dentist is the person who will first let you know that gum disease might be an issue. The primary warning sign people often see is a swollen, reddish gum line. This can cause discomfort, but it often doesn’t. The area of your gums closest to your teeth can redden and bleed easily if you bump it with a toothbrush. 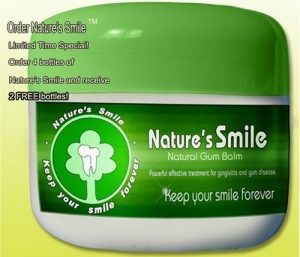 Tender gums are another indication that you may have gum disease. Many people experience some form of bad breath. This type of bad breath is different from other bad breath—just brushing your teeth, tongue, and the roof of your mouth won’t have much of an effect. If you notice your gums look different—that they’re receding, for instance, or that your teeth are beginning to seem longer than they used to, this might be another sign of gum disease. If you notice any of these issues, you should get in touch with a dentist right away. It can be tough to squeeze in an emergency appointment, and by calling as soon as you notice an issue, you’re giving yourself a better chance to get in soon. 1. The dentist may sit you down and go over your previous oral health and general medical history, so they can learn about any interesting patterns or health conditions you may have. The dentist will evaluate whether any of your health history may have something to do with the current symptoms. 2. They will then conduct a physical examination. This involves taking a closer look at your gums, looking to see whether they are inflamed or whether anything looks out of the ordinary. 3. The dentist will then “probe” your gum line and all pockets or significant-looking spots. This part should not hurt at all—your dentist is just making sure any pockets appear healthy and aren’t too deep. 4. Sometimes, the dentist will want you to order an X-ray, so they can see if you’re experiencing bone loss. 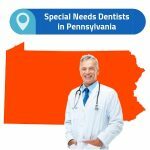 The dentist may also send you on to a periodontist, or a gum disease expert, so that you can get more information and have more different options when it comes to treating the issue. Many people find the process a lot less stressful if they take an active role in learning about their treatment options. In gum disease, the primary concern you and your dentist will have is infection. You’ll want to keep any inflammation under control so that your mouth stands the best chance of healing. At this stage, your dentist may want you to lay off smoking and drinking alcohol—at least until your mouth is healed. Smoking and drinking will slow your body’s ability to recover and may put you at risk for infection. Rest, eating healthy, non-inflammatory foods, and avoiding stress are the best ways to help your body heal. It’s a great time to spend with friends, playing a quiet card game or reading a good book by the fire. 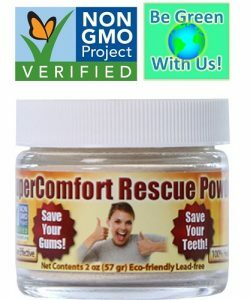 People sometimes find products like this comforting rescue powder, which helps cut down on plaque and bacteria in your tissues and can be a great remedy for sore and bleeding gums, and this gum balm, which helps attack germs that can cause problems in your gums, helpful as well, as they’re made by dentists to help alleviate gum pain. An experienced periodontist will often be able to help get you on the right path when it comes to your oral health. And you can always ask for recommendations or for proof of their licenses and certifications. Choose someone you feel comfortable asking questions, who seems to care about your wellbeing and to listen to your concerns. What’s more, having a good support system during the process can’t be overstressed, as going through treatment for gum disease can be tough for some. Does Toothpaste for Gum Disease Work?